I’ve done everything imaginable to this head of mine from bleaching to every color on the hair palette!!! I started messing with my hair at a young age and never thought I would see the day my hair will pay for it until I started having children and hit my 30’s. My long thick hair turned into thin brittle hair. I really started to feel hopeless and tried every hair thickening products known to man!! I’ve always seen the advertisements for Hairfinity vitamins and thought to myself "I’m not even going there". First of all it’s hard for me to even commit myself to taking any kind of vitamins ever!! I did do some research and found the vitamins had more than biotin in them, so I decided to try it. I love the pink girly bottle the vitamins came in. I can place them on my dresser without being an eye sore which means they are in my sight and easy to take instead of stashing them somewhere, where I’ll forget to take them!! They are easy to swallow which is huge for me!! I cannot take swallowing huge vitamins (Gag)!! So after using the vitamins for a month (about 4-5 weeks) my mom asked me if I had extensions in my hair?!?! Not only that, but my hair dresser had asked what I was doing because my hair was longer than the last time I came to visit! I honestly wasn’t paying much attention to my hair; it’s always in a bun. I can see the difference in a short amount of time and that’s enough for me to stand by a product and recommend it! 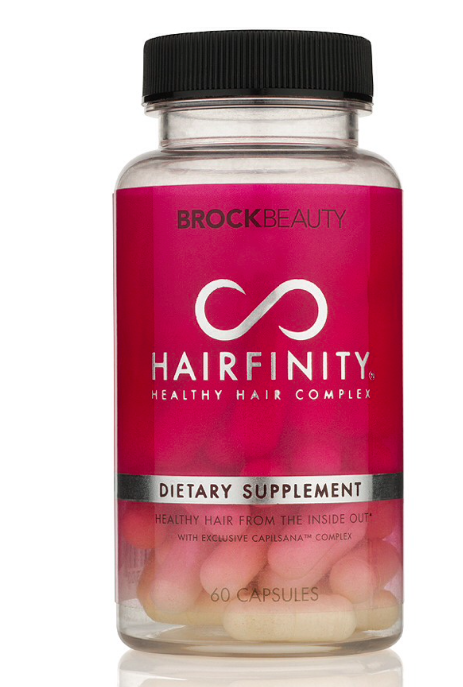 One suggestion would be to come out with Hairfinity Gummies, but besides that I have no complaints.